This orientable system of LED reading lights is based on a compass-type joint which allows the light to be easily set to point in any direction. 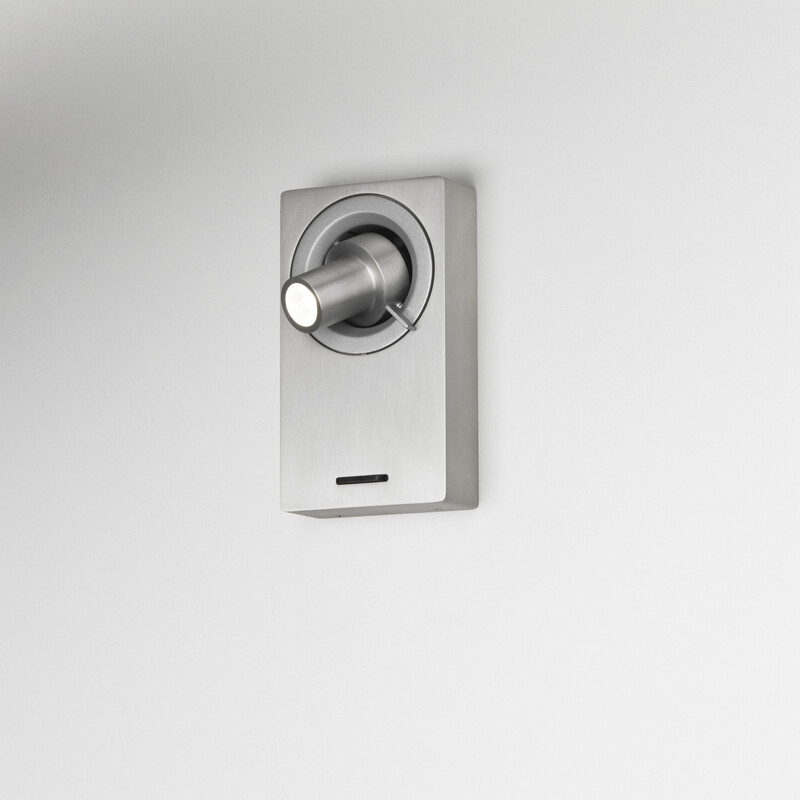 Inspired by the ventilation nozzles on airliners, the Ledcompass collection is easy and intuitive to handle as its LED technology enables users to aim the light without burning themselves. 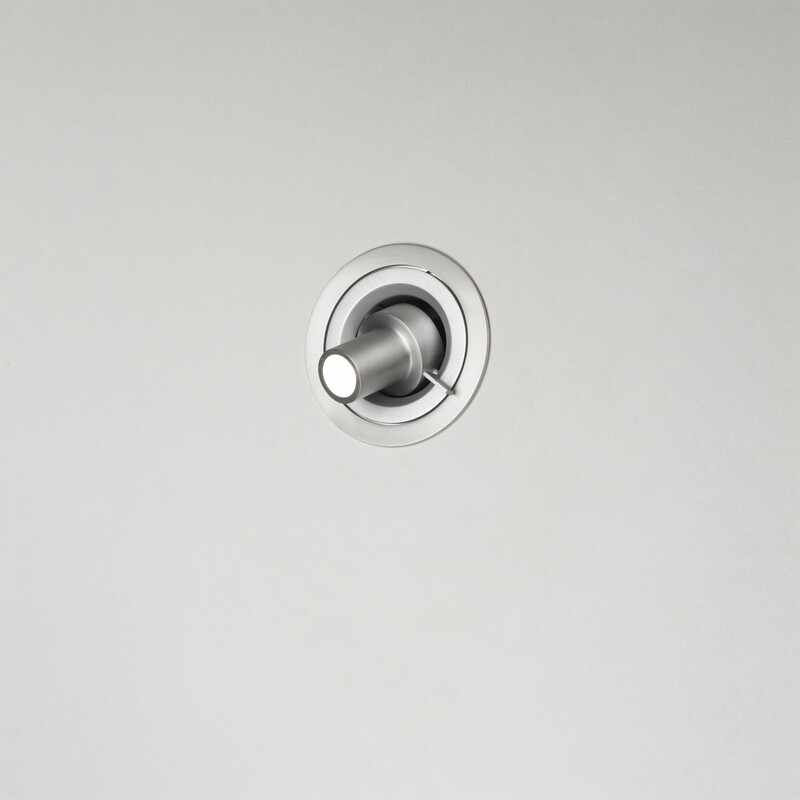 Clean and discreet in its lines, Ledcompass is designed to function as a reading light or a light fitting in shelf units and corners which are to be highlighted. 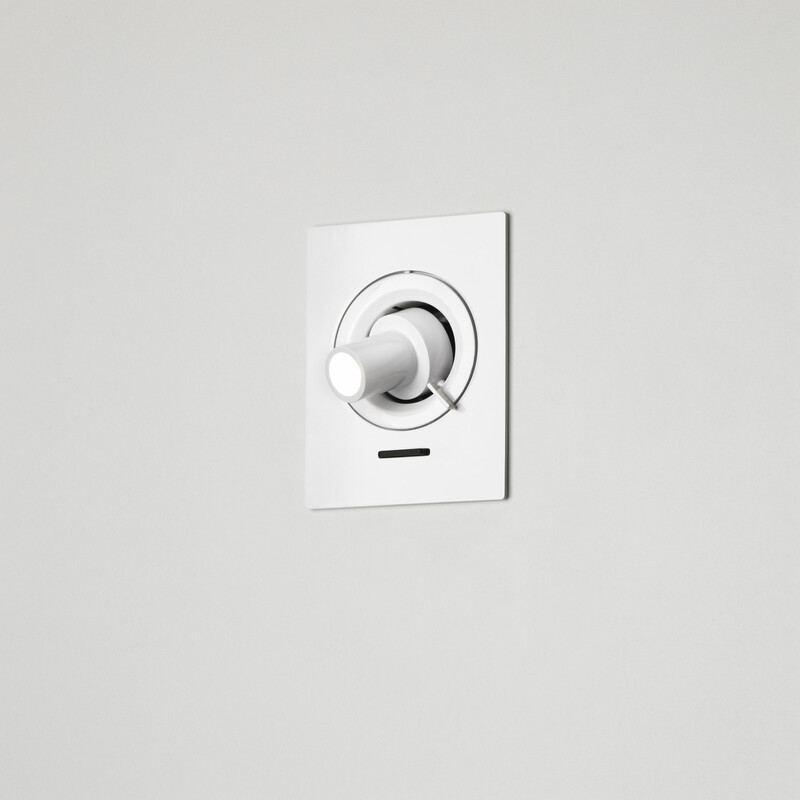 Available as a surface wall lamp or built-in, in white, aluminium or black.